My Paper Pumpkin is offering a craft kit for ONLY $5 for new subscribers. What is My Paper Pumpkin? A craft kit in the mail every month. There is no obligation, cancel ANYTIME. Check out past kits HERE. Everything you need to complete the kit is included. 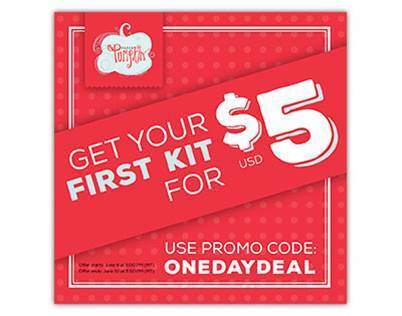 Purchase this kit for a rainy day! This amazing offer starts Thursday, June 9 at 5:00 PM (MT) and ends Friday, June 10 at 11:50 PM (MT). Everyone take advantage of this offer to grab their first Paper Pumpkin kit for practically pennies. For a direct link, click HERE.